If the long nights of winter are getting you down, we've got the perfect pick-me-up: planning a trip on the Maine Island Trail next summer! The trail extends 375 miles from the New Hampshire border to Canada and includes scores of campsites, so there are lots of options to consider. The Maine Island Trail, America's oldest recreational water trail, was founded in 1988 by citizens who wanted to encourage stewardship of the coastal islands they loved to visit. The trail has grown steadily since then and today connects over 200 wild islands and mainland sites that are open for camping or day use. People often assume the Maine Island Trail Association (MITA) owns the islands on the trail, but that's not how the trail works. Instead, MITA administers the trail by working with public and private site owners, including the state, land trusts, and private families, to allow access to their properties. The trail relies on property owners' trust that MITA members and other users will be responsible stewards. It's essential that you practice the Leave No Trace philosophy when you're traveling on the trail so we can continue to sustain and grow that trust. 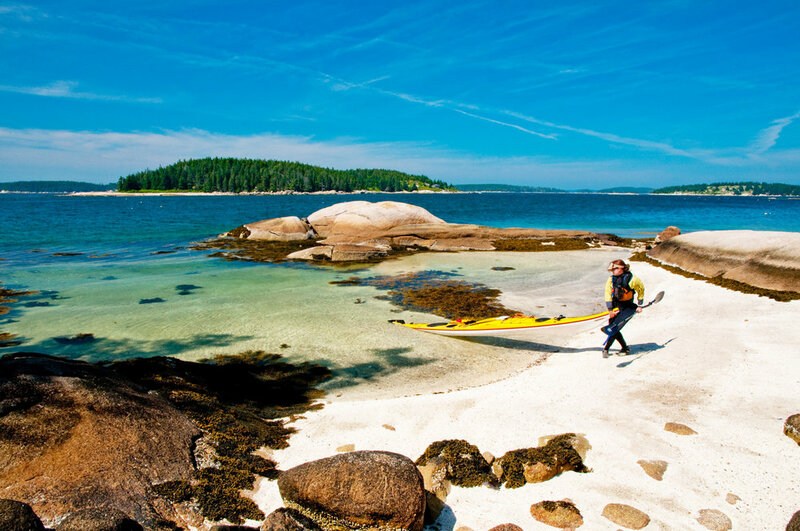 Most paddlers explore the Maine Island Trail in short trips focused on a particular region, like Casco Bay or Muscongus Bay, rather than tackling the whole thing at once. That said, every year there are a few adventurous types who do the whole thing in one go. Paddling the entire trail usually takes 2-3 months, though, so if you don't have that much time you need to decide which section of the trail is the best fit for your trip. No matter the length of the trip you plan, you won't be following an established, official route. There are an infinite number of routes that connect the sites on the trail, and the path you travel between them will depend on the weather conditions, your group's skill and experience level, the vessel you're using and your goals and interests. One of the great things about the trail is that every trip is different. The fact that there's no official route to follow makes it especially important to plan thoroughly and to learn from the experiences of others who have more experience on the trail. You can tap into a wealth of local knowledge about the trail by talking to local boaters, including staff at outfitters like Portland Paddle. To get a better sense of the possibilities that await you on the trail browse through MITA's "Tales from the Trail" blog. It features lots of photos and stories from trips on the trail, along with news and updates about MITA happenings. What section of the coast will you paddle? Unless you're paddling the whole trail, you have to choose a geographical focus. Usually that involves picking one of the 10 sections of the trail that are identified in the MITA Trail Guide. Some parts of the trail are less protected and offer more challenging paddling conditions than others. And some sections have more campsites to choose from than others. The Downeast section of the trail, for example, is incredibly beautiful, but features lots of exposure to the open ocean and relatively few campsites in some areas. You'll need to consider those factors as you plan while also taking into account other logistical factors like parking availability at boat launches and travel distance from your home. How much of the trail do you want to explore? If you have several days to spare you can create an itinerary that island-hops throughout a region and potentially reaches some of the more remote and less-frequented sections of the trail. Or you can choose to stay on one island for multiple nights and use it as a base camp as you take day trips into the surrounding area. If you only have one or two days your options are more limited, but there are still plenty of trail sites that can easily be reached for an overnight or day visit. Will you paddle a one-way route along the trail or loop back? Many people plan trips on the trail that loop around a bay and end at the same point the trip started. Another option is to plan a one-way route that ends further along the coast. This might allow you to experience more of the trail and see different environments along the coast, but it will require you to arrange transportation back to your starting point. Many outfitters, like Portland Paddle, will provide transportation for one-way routes along the trail. MITA embraces the powerfully simple idea that care of the islands can be left to the users of these treasured and fragile places. 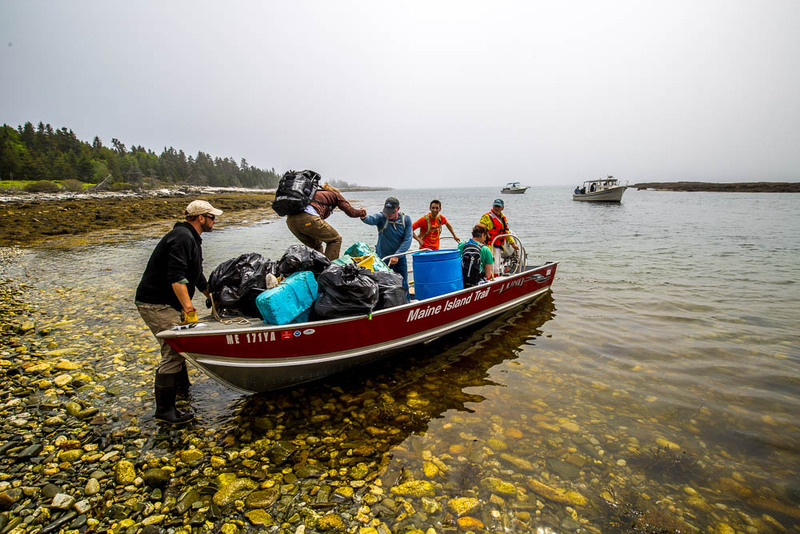 Islands visited by members tend to be in better shape than those left alone, and every year MITA volunteers dedicate hundreds of hours to cleaning up marine debris from beaches, maintaining campsites, managing invasive plant infestations, and more. Joining the Maine Island Trail Association as a member allows you to support MITA's work and get access to MITA's very useful trip-planning resources. You'll receive the annual paper Trail Guide and full access to the MITA's Mobile App, which includes all the information in the paper guide. These are your perfect starting points for planning next year's adventures (combined with standard nautical charts, of course!). Portland Paddle guides have lots of experience traversing the Trail, and they offer multi-day tours to popular Trail sites (like Jewell Island in Casco Bay and islands throughout Muscongus Bay), as well as "guided rentals" and equipment rentals and trip planning services for experienced paddlers. So join MITA, give Portland Paddle a call, and look forward to summer on the water.